Are You a Kingdom Prophet or a Church Prophet? We in the Charismatic expression of the body of Christ have had much teaching on prophetic ministry since the 1980s, including some good teaching that brought clarity and balance but also some other teachings that may have been extreme. All in all, when examining Scripture I find one area of lack regarding prophetic emphasis has been the narrow focus of prophetic ministry to only the realm of the church. There has been some powerful prophetic ministry via preaching, exhortation and sharing what people have heard from God's heart, either for individuals and/or for the nation. But most of it has only been heard by other church people and it rarely, if ever, goes outside the four walls of a church building or church-related functions. This was not how the prophets of the Old Testament and, to a certain extent, the New Testament functioned. If the Old Testament is to serve as our primary model for how prophets are to influence culture, then it is clear from just a cursory examination of Scripture that prophets didn't just prophesy in the temple or a synagogue. They had political and cultural access to the most powerful people in their nation. Thus, when they prophesied it had immediate impact, unlike the prophecies given today that are only voiced on Christian media outlets or in church services. The prophetic words of Old Testament prophets had the potential to reach the primary decision makers of nations. As mentioned in a previous article of mine, Moses was already a prince in Egypt before he was called to confront Egypt and deliver the people of God out of slavery (Exodus 2-3); Daniel was serving as a top political adviser to the King of Babylon (Nebuchadnezzar) and later as a prime minister in Persia, which positioned him to speak truth to power and transform the Babylonian and Persian nations (Daniel 1-6); Nehemiah was the cup bearer of the King of Persia which enabled him to receive the favor necessary to rebuild the walls of Jerusalem (Nehemiah 1-2); Samuel, first in the line of great Jewish prophets, also served as the political judge of the nation (1 Samuel 3-10); David his protégé may have been a great prophet/psalmist but he also became Israel's greatest king (1 Samuel 16 - 2 Samuel 3); finally, all the great prophets (Isaiah, Jeremiah, Elijah, Elisha, Micaiah, Ahijah, Amos, etc.) didn't just prophesy to small crowds of people in the temple or synagogue, but had access to political and cultural elites, even to the highest political office of the land. For example, Elijah not only prophesied to a poor widow (1 Kings 17:10-16) but also to King Ahab (1 Kings 17:1, 18-19). He also anointed a person to serve as king in a foreign nation like Aram (1 Kings 19:15). Elisha, the spiritual son of Elijah, not only ministered to the kings of Israel and Judah (e.g. Jehoram and Jehoshaphat in 2 Kings 3:6-27) but he also ministered to the military captain of Syria, Israel's enemy (2 Kings 5:1-14), gave prophetic military advice to the king of Israel (2 Kings 6:8-23) and also ministered to the kings of gentile nations like Ben-Hadad (2 Kings 8:7-10). Political kings even referred to Elisha as "father" and to themselves as his "sons" (2 Kings 6:21 and 2 Kings 8:9)! Thus the prophets of Israel were primarily called to speak the word of the Lord to cultural elites who were in a position to guide the nation. This is where I see the prophetic going next: outside the four walls of the church. We have made a slight improvement in this area with a greater understanding of "prophetic evangelism" in which we go up to strangers and share with them things from the heart of God that only God knows about them, resulting in many people coming to Christ. (I have seen and experienced a lot of this through the years.) Then there have been some instances when prophetic leaders have ministered to high-level political leaders and a president, but that has been the exception not the general rule in regards to what is expected of prophetic leaders in the church. I have personally stepped into this realm with high-level political leaders in New York City, which has included giving the word of the Lord to a community leader (that I barely knew) that they were supposed to run for a particular powerful office. They cried and said they were just thinking about whether they should do it and didn't mention it to anyone else. This person ran and won the election! Also, on several occasions, I have warned top political leaders and predicted judgment or the demotion of some, which has already happened in at least one instance. In regards to the church, we are now coming to a place where the church's understanding of being the salt and light of the world is going to impact all of our planning for ministry and vocation, in which all the realms of society will be our parish instead of just church related services. Not shifting the prophetic and mission focus of the church to the public realms of society would continue to perpetuate a dualism in which the church builds mega-subcultures that neither embrace surrounding communities nor engage secular society. This results in Christians prophesying and having conversations with themselves! I am not saying that we don't need church prophets or that church prophets are bad. It is just that we are not expanding our thinking enough on the incredible calling of prophets to include an important aspect of the prophetic call to culture. Prophets were essential and arguably the primary people God used to transform culture. I believe it is still the model God wants to use to influence nations. The following are some of the salient contrasts between the new emerging kingdom prophets and church prophets. •Kingdom prophets speak the heart of God for all of life; church prophets speak regarding only church life. •Kingdom prophets mentor kings and princes of the earth; church prophets mentor other church prophets, intercessors and leaders. •Kingdom prophets influence those who can shift culture; church prophets influence those who can shift church services. •Kingdom prophets have a call to influence whole communities; church prophets prophesy to church movements and individuals. •Kingdom prophets speak the language of secular culture; church prophets speak the language of religion. •Kingdom prophets often have favor in governmental palaces; church prophets have favor in pastors' personal offices. •Kingdom prophets prophesy about current events; church prophets prophesy about church related issues and events. •Kingdom prophets influence the climate of a community or city; church prophets influence the atmosphere of a church service and congregation. •Kingdom prophets feel comfortable befriending marketplace leaders; church prophets focus on befriending committed church attendees. •Kingdom prophets father political and economic kings; church prophets father potential leaders in church life. •Kingdom prophets train cultural leaders; church prophets train church leaders. •Kingdom prophets can serve as elders in a city; church prophets can serve as elders in a local congregation. •Kingdom prophets are gifted with all the learning and knowledge of contemporary culture; church prophets are gifted with all the learning of church dogma and doctrine. •Kingdom prophets are respected and are visible in mainstream media outlets; church prophets are famous only in Christian media outlets. In conclusion, all of Scripture including the Old Testament is given to us as a model on how we ought to live out our faith (1 Corinthians 10:11; Romans 15:4). We also see glimpses of this in the life of John the Baptist who prophesied against both the religious and political leaders of his day, and Jesus who ministered to both King Herod and Pontius Pilate. Paul the Apostle also testified to the secular kings of his day (Acts 24-26) and history tells us he also appeared before the Roman Caesar giving a defense of the gospel. I believe the next 20 years will see the fullness of this cultural prophetic call as the church continues to grapple with and grow in the area of cultural engagement. I also see an incredible move of God in the area of prophetic and apostolic leaders discipling and speaking the word of the Lord over leaders of developing countries in Africa, Latin America and even Asia. 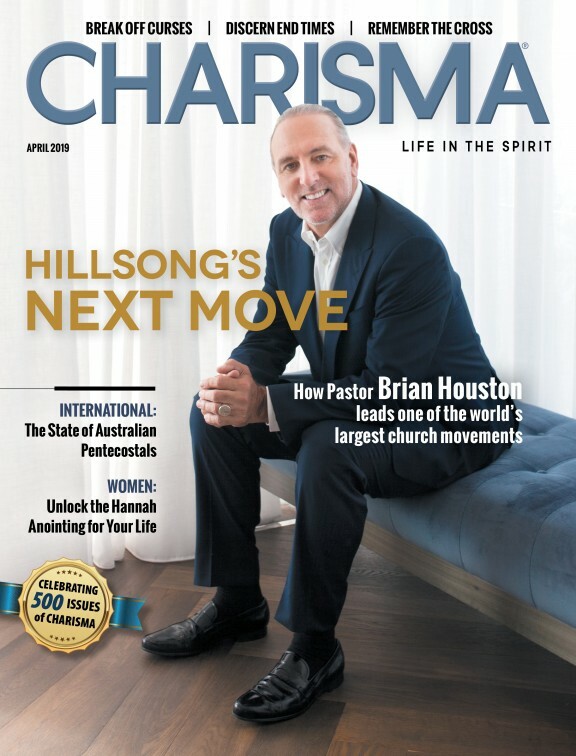 Let's believe God for the church to nurture leaders who will not only be respected and quoted in Christian magazines but also publish editorials in the New York Times, Washington Post, and other major global news outlets.